For the majority of his career Peeter Sarapuu has worked in the Estonian National Symphony Orchestra – since 2005 he has been the principal bassoonist of the ENSO. As a soloist he debuted with Estonian National orchestra in 1986, solo appearances with Finnish and Estonian orchestras included performances of Vivaldi, Danzi, Mozart, Weber, Jolivet, Williams bassoon concertos. He has been member of several orchestras and ensembles, including NYYD Ensemble, YXUS Ensemble, Drottingholm Baroque Orchestra, Helsinki Baroque Orchestra, Opus X Ensemble (Finland), Corelli Consort, Reval Ensemble, The Theatre of Voices (Gr.Britain), Kesselberg Ensemble (Switzerland), Melomania (Netherland) and many other groups. Chamber music plays an important part in his musical life, and he has performed as soloist and chamber musician in many festivals, incl “NYYD”, “Märzmusik Berlin”, “Klangspuren Vienna”, Bruges Festival, “Europamusicale”, Haydn-Festival Vienna, La Folle Journée France and Japan. Besides a career as a performer, for over two decades Peeter Sarapuu has taught students at several Finnish educational institutions, the Tallinn Music High School, the Estonian Academy of Music and Theatre and on several masterclasses. 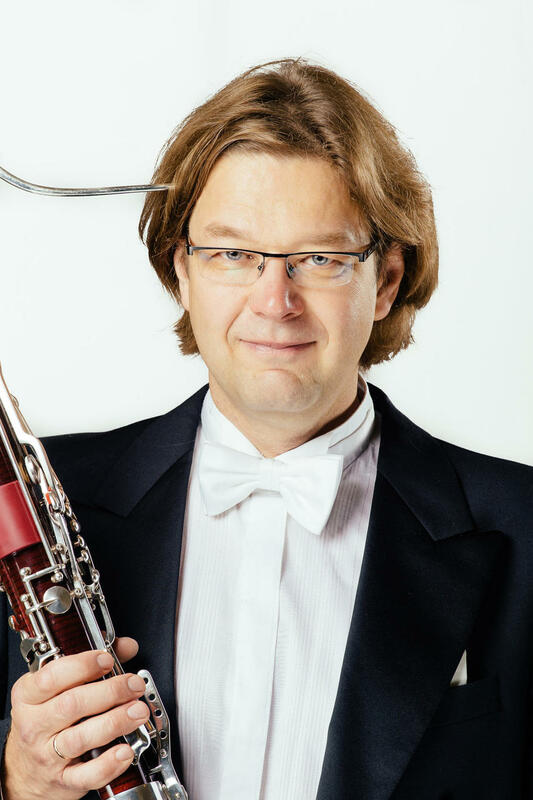 Since May 2016 he has been bassoon professor at the Estonian Academy of Music and Theatre.